The move was spurred in part by caravans of Central American migrants slowly moving north on foot but will apply to anyone caught crossing illegally, officials said Thursday. It’s unknown whether those in the caravan, many fleeing violence in their homelands, plan to cross illegally. 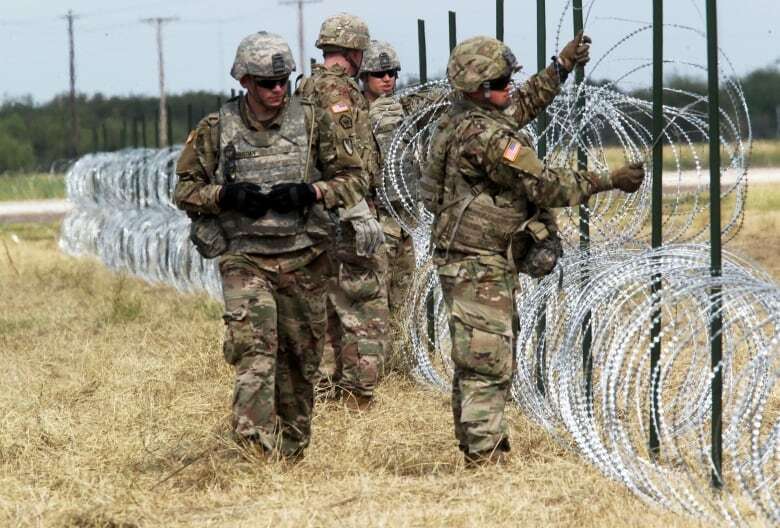 It’s not clear what their duties will be, as existing legislation prevents troops from interacting with migrants and acting in a law enforcement capacity. Less than one-quarter of applicants from Central America were approved between 2012 and 2017, although it’s not known how many stayed in the country despite a deportation order, or stayed without even attending a hearing. Trump’s recently departed attorney general Jeff Session announced a policy change at his Justice Department to deny survivors of domestic abuse and gang violence asylum claims, which could further curtail the success rate. Activists have accused border officials of unduly using this “metering” approach. The administration has also looked to end protections under programs in which tens of thousands of people from Honduras and El Salvador, who entered the country after hurricanes and earthquakes devastated their countries near the beginning of the century. Those moves have been challenged in court. Trump has also expressed an interest in ending birthright citizenship to those born to non-citizens and for ending the the so-called DACA protections of those who’ve been in the U.S. for years but were brought into the country illegally while children. It’s unclear how many people en route to the U.S. in the current caravans will even make it to the border. About 4,800 migrants are sheltered in a sports complex in Mexico City, some 965 kilometres from the U.S. border. Several smaller groups were trailing hundreds of kilometres to the south; officials estimated about 7,000 in all were in the country in the caravans. The migrants are largely poor people, and many say they’re fleeing violence. More than 1,700 were children under 18, and more than 300 were children under age five.